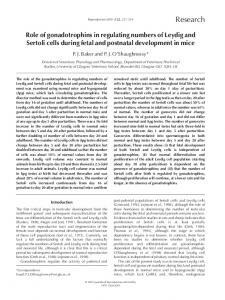 embryonic stage and they first appear as primordial germ cells. 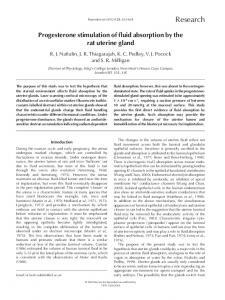 Manipulation ..... is expressed in the genital ridge and Wolffian duct before sexual differentiation. Preben D. Thomsen1, Henrik Callesen5, Peter L. A. M. Vos6, ... Denmark; 3Department of Animal Science and Production, Lyons Research Farm, University. embryo from maternal immune effector cells (Clark et al.,. 1990). .... by the Galai. Corporation (Migdal Ha-Emek), as described by Fisher et al. 400. 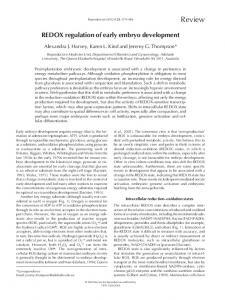 S. Savion et al. ..... Arck PC, David A, Ferrick DA, Steele-Norwood D, Croitoru K and Clark DA. Germany; and 2The John O. Almquist Research Center, Department of Dairy and Animal ...... Bieser B, Stojkovic M, Wolf E, Meyer H and Einspanier R (1998) Growth .... Kouba AJ, Burkhardt BR, Alvarez IM, Goodenow MM and Buhi WC. ovulation in cyclic mares is absent during pregnancy. The high PGF2Î± concentrations measured after day 18 almost certainly reflect the finding by Starbuck et al. 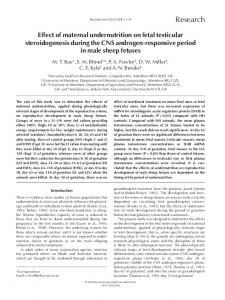 The first critical steps in testicular development from the indifferent gonad and ..... Mendis-Handagama et al., 1998; Racine et al., 1998; Teerds et al., 1998). persist (Pike et al., 1986; Strader et al., 1988; Whitaker,. 1988; MÃ¸ller et al., 1996). In men, the .... Frederick, MD) were used. Rats obtained at day 15 of. Laser scanning confocal microscopy of the distribution of an extracellular marker (fluorescein isothio- cyanate-labelled dextran) within rat uterine glands showed. 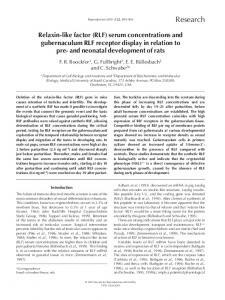 follicular emergence is considered to be independent of LH, because follicle waves ...... amounts of different forms of inhibin during follicular atresia Biology of. pattern. The expression patterns of IGF-IR, IGF-II and IGFIIR in embryos generated in the two culture systems were not significantly different, except at the expanded blastocyst stage, at which significantly higher amounts of IGF-IIR were observed in the TCM system than in the synthetic oviduct fluid system. These results indicate that transcripts of IGF-IR and IGF-IIR follow the standard pattern in which maternal stores of mRNA in the oocyte are slowly depleted up to the 16-cell stage and then re-established at the onset of embryonic expression of these genes. The lack of detectable IGF-I transcripts in the bovine embryo indicates a predominantly paracrine mode of action. The bovine embryo is capable of producing IGF-II, IGF-IIR and IGF-IR in large amounts, particularly after hatching, which may be important for the formation of the filamentous conceptus. Results indicate an autocrine mechanism for IGF-II and modulation of IGF family expression by culture conditions. growth factors of the IGF family have an important role in early development. Growth factors have been identified in follicular fluid (Hammond et al., 1988) and in the female reproductive tract (Buhi et al., 1997). The addition of exogenous IGF-I or -II to the culture medium results in improved bovine oocyte maturation and embryonic development (Herrler et al., 1992; Kaye et al., 1992; Matsui et al., 1995; Palma et al., 1997, Pawshe et al., 1998; Mihalik et al., 2000). Expression of mRNA transcripts for the IGF family has been detected in embryos of a variety of species. Although IGF-IR, IGF-II and IGF-IIR are expressed throughout preimplantation development up to the blastocyst stage, expression of IGF-I ligand by preimplantation embryos has also been reported. For example, IGF-I expression was detected in bovine and ovine embryos produced in vitro (Schultz et al., 1992; Watson et al., 1992, 1994; Yoshida et al., 1998), but was not observed in embryos from water buffalo (Daliri et al., 1999), mice (Rappolee et al., 1992), rats (Zhang et al., 1994) and humans (Lighten et al., 1997a). 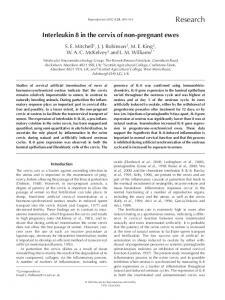 M. A. Yaseen et al. Niemann and Wrenzycki (2000) reported that transcription of several developmentally important genes in preimplantation embryos is affected by the in vitro environment, possibly leading to perturbation of differentiation and organogenesis, and ‘large offspring syndrome’. The amounts of various transcripts were correlated with the presence or absence of the respective protein in the culture medium. Bovine embryos responded to changes in their environment very early on in development by modifying the synthesis of specific mRNAs (Wrenzycki et al., 1999). mRNA expression of IGFs, their receptors and IGFBPs during bovine preimplantation development varies qualitatively (Schultz et al., 1992; Watson et al., 1992; Winger et al., 1997; Yoshida et al., 1998; Lonergan et al., 2000) and the changes in the abundance of IGF-I mRNA and IGF-IR in relation to culture medium composition have not yet been investigated. The aim of this study was to determine the relative abundance of mRNAs for the IGF-I and IGF-II ligands and their receptors (IGF-IR and IGF-IIR) in preimplantation bovine development up to the hatched blastocyst stage using two different in vitro culture systems: TCM-199 with oestrous cow serum, or synthetic oviduct fluid with polyvinyl alcohol. These two contrasting culture systems (complex and undefined versus simple and defined) were used to determine effects on mRNA expression originating from the in vitro production process. 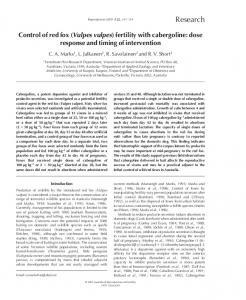 The study also aimed to clarify whether in vitro produced bovine embryos express IGF-I ligand during preimplantation development. 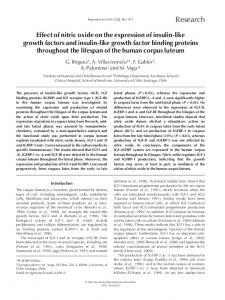 IGF: insulin-like growth factors; IGF-R: insulin-like growth factor receptors. cumulus cells was verified at ⫻ 200 magnification to ensure that the transcripts did not originate from residual cumulus cells. Pools of immature and matured oocytes, zygotes, two- to four-cell embryos, 8–16-cell embryos, morulae, expanded blastocysts and hatched blastocysts were collected at the appropriate stages of development. Oocytes or embryos that had not reached the expected developmental stage at the respective time points in both treatment groups were discarded from this study. Presumptive matured oocytes or zygotes were examined under a phase-contrast microscope at ⫻ 400 for the presence of the first polar body or two pronuclei. All embryos at all stages of development were examined carefully for uniform size and quality. Representative cell counts in subgroups of embryos produced in these systems revealed an average of 50–60 cells in morulae and 110–120 cells in blastocysts (Wrenzycki et al., 2001). After washing three times in PBS containing 0.1% polyvinyl alcohol, embryos were stored in pools of 20–25 at –80⬚C in a minimum volume (5 µl or less) of medium until use. embryo was added to each tube as an internal standard. After vortexing for 10 s, brief centrifugation (12 000 g, 15 s) and incubation at room temperature for 10 min, 10 µl prewashed Dynabeads oligo (dT)25 was pipetted into the fluid. After incubation of poly(A)+ RNAs with oligo(dT) Dynabead at room temperature for 5 min, the beads were separated using a Dynal MPC-E-1 magnetic separator, washed once using 100 µl washing buffer 1 (10 mmol Tris–HCl l–1, pH 8.0, 0.15 mol LiCl l–1, 1 mmol EDTA l–1, 0.1% LiDS) and then washed three times with 100 µl washing buffer 2 (10.0 mmol Tris–HCl l–1, pH 8.0, 0.15 mol LiCl l–1, 1.0 mmol EDTA l–1). Poly(A)+ RNAs were then eluted from the beads by incubation in 11 µl sterile water at 65⬚C for 2 min, and aliquots were used immediately for reverse transcription (RT). As a positive control, total RNA was also extracted from bovine oviduct tissue (Chomczynski and Sacchi, 1987) with minor modification as described by Wrenzycki et al. (1998). transcriptase (Perkin-Elmer). The RT reaction was carried out at 25⬚C for 10 min and at 42⬚C for 1 h followed by a denaturation step at 99⬚C for 5 min, and flash cooling on ice. 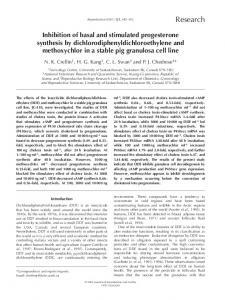 The reaction mixture was diluted to get a final concentration of 0.5 oocyte or embryo equivalent per µl, and 50 fg globin RNA µl–1. of the mRNA of interest was calculated by dividing the intensity of the band for each developmental stage by the intensity of the globin band for the corresponding stage. Experiments were repeated for each mRNA, with a minimum of four or five separate oocyte or embryo batches each derived from different in vitro produced runs. For each pair of gene-specific primers, semilog plots of the fragment intensity as a function of cycle number were used to determine the range of numbers of cycles over which linear amplification occurred, and the number of PCR cycles was kept within this range. For the growth factor genes and their receptors, a linear range was observed from 31 to 39 amplification cycles (data not shown). These preliminary amplification experiments were performed with a fixed amount of RNA. The fixed number of cycles was used to demonstrate that the amount of RNA added gave a proportional output of RT–PCR product (data not shown). Because the total efficiency of amplification for each set of primers during each cycle is not known, these assays can be used only to compare relative abundances of a specific mRNA among different samples (Temeles et al., 1994). The recovery rate of RNA was estimated as the ratio between the intensity of the globin band with and without the RNA preparation procedure, starting with an equivalent of 50 fg in the PCR reaction. On average, 66% of poly(A)-tailed RNA was recovered using our Dynabead oligo d(T) mRNA isolation method, which is in agreement with published yields (Shim et al., 1996). After optimization, the RT–PCR assay was sensitive enough to detect specific bovine mRNA from bovine oviduct at concentrations from 0.5 to 5.0 ng of total RNA (a blastocyst contains approximately 10 ng of total RNA) (data not shown). Pools of embryos were used to minimize the effect of individual variation of oocytes or embryos (DeSousa et al., 1998). Krüssel et al. (1998) have shown that mRNA patterns differ markedly even among single blastomeres from the same embryo. Statistical analysis Data were analysed using the SigmaStat 2.3 (Jandel Scientific, San Rafael, CA) software package. After testing for normality (Kolmogorov-Smirnov test with Lilliefor correction) and equal variance (Levene Median test), a oneway ANOVA (or a one-way ANOVA on ranks) followed by multiple pairwise comparisons using either Tukey’s test or Duncan’s method was used to determine differences between both treatments at the same developmental stage and in the temporal expression patterns within one treatment group. Differences were considered to be significant at P ⭐ 0.05.
abValues with different superscripts within one stage of development are significantly different (P ⭐ 0.05). ECS: oestrous cow serum; SOF: synthetic oviduct fluid; PVA: polyvinyl alcohol. 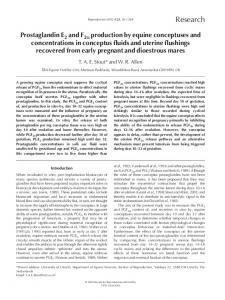 two- to four-cell embryos and blastocysts was obtained in the TCM system than in the synthetic oviduct fluid system. Embryos cultured in the presence of serum appeared darker and had more ‘granules’ than those cultured in the serumfree system. oviduct fluid system than in those cultured in the TCM system. The individual differences in IGF-IR, IGF-II and IGFIIR gene expression of embryos generated in the two media were not significant except at the expanded blastocyst stage when IGF-IIR transcripts were significantly higher in the TCM system than in the synthetic oviduct fluid system. Ontogenetic expression pattern of IGFs Representative gel photos of mRNA expression in bovine hatched blastocysts cultured in the TCM system or synthetic oviduct fluid system are shown (Fig. 1). IGF-I transcripts were not detected at any stage of preimplantation bovine development even when PCR was performed with cDNA equivalents corresponding to > 16 oocytes or embryos (Fig. 2). Matured oocytes generally had more mRNA for IGF-IR, IGF-II and IGF-IIR than did immature oocytes (except for IGF-IR oocytes in the TCM system). At maturation, mRNA expression of IGFs and their receptors decreased significantly during early development until activation of the embryonic genome at the 8–16-cell stage, when an increase was observed. There was a significant increase in mRNA expression of IGFs and their receptors at the hatched blastocyst stage. Fig. 1. Semi-quantitative RT–PCR analysis of mRNA insulin-like growth factor I receptor (IGF-IR), IGF-II and IGF-IIR in bovine hatched blastocysts produced in vitro. Each lane represents the RT–PCR product derived from poly(A)+ RNA from the equivalent of four embryos (IGF-II: eight embryos). The RNA recovery rate was estimated as the ratio between the intensity of the fragment with (globin +prep) and without preparation (–prep). 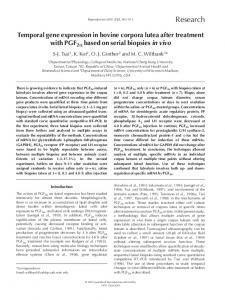 SOF: synthetic oviduct fluid; PVA: polyvinyl alcohol; ECS: oestrous cow serum; bp: base pairs. Fig. 2. Detection of insulin-like growth factor I (IGF-I) transcripts in mRNA from bovine expanded blastocysts and RNA from bovine oviduct and uterus. Lane 1: eight expanded blastocysts; lane 2: 16 expanded blastocysts; lane 3: 20 ng oviduct-RNA; lane 4: 40 ng oviduct-RNA; lane 5: 20 ng uterusRNA; lane 6: 40 ng uterus-RNA; lane 7: negative control without RT; and lane 8: negative control without RNA. Arrow indicates expected size of the fragment in base pairs. Fig. 3. Relative abundance of (a) insulin-like growth factor I receptor (IGF-IR), (b) IGF-II and (c) IGFIIR gene transcripts (mean ⫾ SEM) throughout bovine preimplantation development (i.ooc: immature oocyte; m.ooc: matured oocyte; Zyg. : zygote; 2–4-cell: 2–4-cell embryo; 8–16-cell: 8–16-cell embryo; mo. : morula; bla. : blastocyst; h.bla. : hatched blastocyst) using TCM–oestrous cow serum (ECS) (䊐) or synthetic oviduct fluid (SOF)–polyvinyl alcohol (PVA) (䊏) as culture systems. 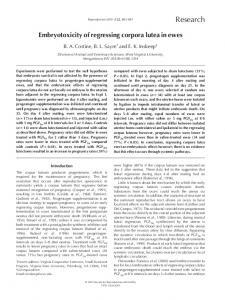 Significant differences throughout preimplantation development are indicated by different letters (TCM–ECS: A,B,C,D = P < 0.05; SOF–PVA a,b,c,d = P < 0.05), whereas values with the same symbol (∗) indicate significant differences (P < 0.05) between embryos at the same development stage in the two culture systems. a potentially more versatile role of IGFs in preimplantation development than previously suggested. Determination of growth factor gene expression in preimplantation bovine development can be used for optimization of in vitro culture systems, with the goal of improving the quality of embryos generated in vitro and ensuring normal offspring. Further studies are underway to investigate growth factor gene expression in embryos produced in vivo in an effort to clarify the effects of culture conditions. The authors are grateful to E. Lemme and K. Korsawe for their skilled technical assistance. Gratitude is expressed to W. Kues and A. Lucas-Hahn for their helpful discussion. M. Yaseen has been supported by a fellowship from the Egyptian Government. The financial support from the EU (FAIR CT 98-4339) is gratefully acknowledged. Received 8 March 2001. First decision 30 May 2001. Accepted 18 June 2001. Report "rep 276 Yaseen - Reproduction"